How are the neighborhoods in Covenant Hills of Ladera Ranch? Posted by Teresa Mihelic HelpDesk on Tuesday, October 16th, 2012 at 11:23am. Since Covenant Hills is a gated community with restricted access, quite often we get the following question when potential home buyers are looking in the different neighborhoods in Ladera Ranch : What are the homes like in Covenant Hills? This is a broad question, so we wanted to share a little information over here in our blog. To check out the currently listed homes for sale in Covenant Hills of Ladera Ranch, follow the link that will take you to our specific page where you can search all homes in the community, and narrow by price, size and other characteristics. First lets start by saying there's 15 neighborhoods: 13 of tract homes, one is a condo complex and one if of custom homes. All of the homes in Covenant Hills are larger - with that 'estate' look and feel. Even the condos (the Castellina community) are of good size and have the feel of homes. The tract homes are Alisal, Amarante, Arboledo, Bellataire, Capistrano, Encantada, Las Piedras, Meriden, Montanez, San Donato, Segovia, Sherborne, and Skye Isle. These neighborhoods were built by re known builders, like Standard Pacific, William Lyons, The Warmington Group, John Laing and Shea to name a few. Many of the homes have private pools, or private 'casitas' for guests or used as offices, lush backyards and endless inside upgrades. Many homes have all the bedrooms with en-suite bathrooms, and for many lucky ones, there's single loaded home locations, with cul-de-sac street backing to serene rolling hills with views of the natural terrain that can never be built on. Covenant Hills residents have their own clubhouse, but also have access to all of the Ladera Ranch amenities, with its many pools, parks, hiking trails and shopping centers! Did we mention there's still many lots for sale in Covenant Hills so you can build your unique dream home? 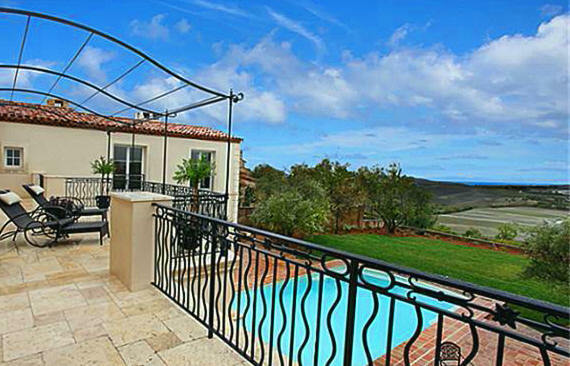 Covenant Hills at Ladera Ranch is, in fact, the Orange County Dream.